Learn a bunch of ways to keep your cool through life’s glorious ups and devastating downs. 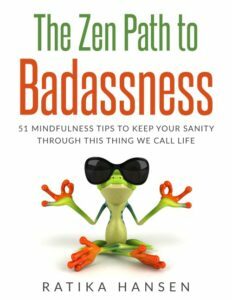 51 Mindfulness Tips to Keep Your Sanity Through This Thing We Call Life. 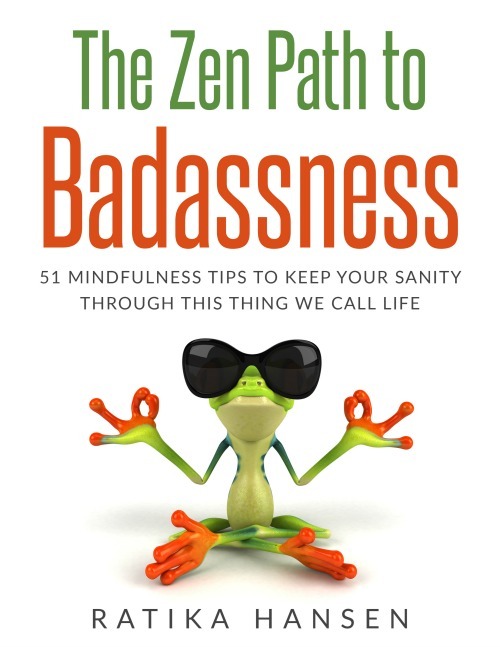 Let the madness and sadness of my changes nudge you forward on your own path to badassness! 2006… Sold my house. Moved across the country. Bought a new house. Started a new job. 2007… Fell hard after ending a romantic relationship. Got swept off my feet in a new one. 2010… Bought a new house. Became a landlady. Found a surrogate for our babies. 2011… Became the mommy of twin boys. In this chapter, I encountered life’s big shifts. At the end of it, I was ever so lost, disenchanted with life, and unrecognizable to myself. My shift downward was gradual… one sweet, subtle celebration at a time. I was not prepared for all of these changes. My journey back up has taught me many things and I would like to share some of them with you. Get on The Zen Path today! "My life purpose is to shine my Light in the world. My light shines most brightly as acceptance, laughter, inspiration, and love. My mission is to inspire passionate living in the hearts of the willing so that we all bring our LIGHT to the world."